Canadian researchers recently studied 96 male athletes who had suffered concussions in the three to nine months prior to both NHL-standard neuropsychological and electrophysical testing. They were divided into three groups: adults (30), kids aged nine - 12 (32) and teens aged 13 - 16 (34), and then compared with similar people who had not had a concussion. Their report appeared February 28th in Brain Injury journal. The tests revealed that the injured teens exhibited greater deficits than either youger children or adults in attention span, impulsivity and short-term working memory--essential for reading and calculating. And their symptons typically lasted longer, too, often for six months to a year. "Contrary to the belief by some parents and coaches that children can play through a concussion because their brains are more resilient, we find that children are more vulnerable to the effects of a brain injury than adults," said Lead Researcher Dave Ellemberg, a neuropsychologist at the University of Montreal. And, teenagers suffer greater symptoms than either children or adults, he added. "It's not that surprising," Ellemberg noted. "We know the adolescent's brain, more specifically the areas affected by the concussion, the frontal lobe areas of the brain, are growing in spurts, and when something is developing rapidly it is even more fragile to injury." We have seen the effects of post-concussion syndrome first hand. 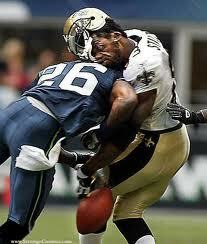 All concussions are serious injuries that need to be treated by a qualified medical professional. We recommend that all high school athletes undergo imPACT or other baseline neurocognitive testing so that the severity of a concussion can be evaluated, and a determination made when it will be safe to return to play.